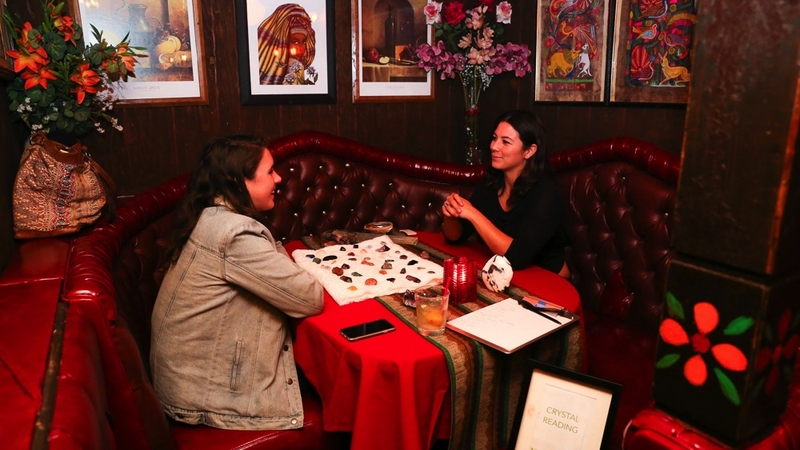 Crystal Readings — LNK Co.
Lindsey is a professional Crystal Reader who has read for CEOs and celebrities and at events for clients such as Mondrian Hotel, TEVA, Sanuk, Koral, APL, YogaGlo, and Outdoor Voices. She is a natural seer and healer and uses a unique crystal reading method to deliver messages for the highest selves and greatest good of her clients. These messages empower individuals to see beyond the surface and move toward their highest potential. Lindsey offers private 1 on 1 readings via phone when she’s not reading at events. Receive guidance and healing in this powerful and focused crystal reading. Opening to Source, we receive top priority messages aligned with your highest self, and we use crystals and crystal energy as tools for insights and healing. Each reading comes with specific crystal recommendations to support your intentions and wholeness. Interested in having Crystal Readings at your event? Crystal readings are a unique opportunity for your guests to receive both guidance and healing. Crystal + Oracle, Crystal + Tarot, and Tarot Readings are options too. You choose!